Jim Hill was born on October 1, 1921, in Stillwater, Oklahoma. He entered the Aviation Cadet Program of the U.S. Army Air Forces on February 25, 1942, and was commissioned a 2d Lt and awarded his pilot wings at Foster Field, Texas, on February 16, 1943. After completing P-47 Thunderbolt training, Lt Hill was assigned to the 388th Fighter Squadron of the 365th Fighter Group in England in December 1943. Maj Hill flew 127 combat missions and was credited with destroying 5 enemy aircraft in aerial combat before returning to the U.S. in September 1945. He left active duty in December 1945, and served in the Oklahoma Air National Guard until returning to active duty in the U.S. Air Force on December 1, 1948. Hill then served with the 3525th Pilot Training Wing at Williams AFB, Arizona, from December 1948 to August 1950, followed by service as an F-80 Shooting Star pilot with the 80th Fighter-Bomber Squadron of the 8th Fighter-Bomber Wing from August 1950 to March 1951. He then served with Headquarters 5th Air Force at Osan AB, South Korea, from March to September 1951. While in Korea, Col Hill flew 128 combat missions and destroyed 1 enemy aircraft. After Korea, he returned to the 3525th Pilot Training Wing at Williams AFB from October 1951 to January 1952, and then served with the Joint Tactical Air Support Board at Fort Bragg, North Carolina, from January 1952 to April 1953. His next assignment was as a Royal Air Force exchange officer in England, where he attended the Royal Air Force Flying College from April 1953 to April 1954, followed by service on the staff with Headquarters 20th Fighter-Bomber Wing at RAF Wethersfield, England, from April 1954 to February 1955. Col Hill was commander of the 79th Fighter-Bomber Squadron and commander of RAF Woodbridge, England, from February 1955 to May 1956, and then returned to the 20th Fighter-Bomber Squadron where he served as Assistant Director of Operations, Director of Operations, and Deputy Commander until July 1957. He then served as senior Air Force advisor to the 121st Tactical Fighter Wing of the Ohio Air National Guard at Lockbourne AFB, Ohio, from July 1957 to August 1960, followed by an assignment to Headquarters U.S. Air Force in the Pentagon from August 1960 to August 1963. Gen Hill then attended the Industrial College of the Armed Forces before serving as Deputy Commander of Operations and then Commander of the 405th Fighter Wing, and then Deputy Chief of Staff for Plans and Operations with Headquarters 13th Air Force at Clark AB in the Philippines, where he served from August 1964 to July 1966. His next assignment was as commander of the 3615th Pilot Training Wing at Craig AFB, Alabama, from July 1966 to July 1967, and then commander of the 40th Air Division at Wurtsmith AFB, Michigan, from July 1967 to June 1968. He was commander of the 825th Strategic Aerospace Division at Little Rock AFB, Arkansas, from June 1968 to January 1970, and then commander of the 42nd Air Division at Blytheville AFB, Arkansas, from January 1970 to July 1971. Gen Hill was made deputy assistant to the Secretary of Defense for Atomic Energy in July 1971, and then served as commander of 3rd Air Force in England from June 1972 to November 1973. After another tour at the Pentagon, he served as Commander in Chief of Alaskan Command and then Commander of Alaskan Air Command at Elmendorf AFB, Alaska, from September 1974 to October 1976. 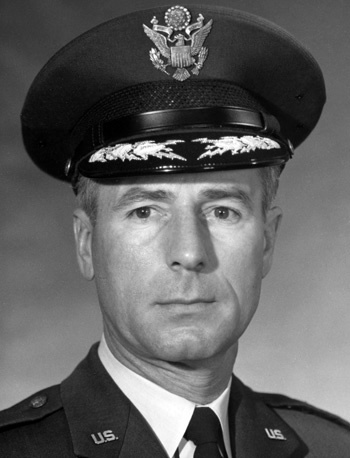 Gen Hill then served as commander of 8th Air Force at Barksdale AFB, Louisiana, from October 1976 to July 1977, followed by service as Vice Commander in Chief of Strategic Air Command at Offutt AFB, Nebraska, from July to December 1977. His final assignment was as Commander in Chief of North American Air Defense Command at Peterson AFB, Colorado, where he served from December 1977 until his retirement from the Air Force on December 31, 1979. Jim Hill died on May 20, 1999, and was buried at the U.S. Air Force Academy Cemetery in Colorado Springs, Colorado. For extraordinary heroism in connection with military operations against an armed enemy, in action against enemy forces on 18 April 1945. Major Hill's intrepid actions, personal bravery and zealous devotion to duty exemplify the highest traditions of the military forces of the United States and reflect great credit upon himself, his unit, and the United States Army Air Forces.